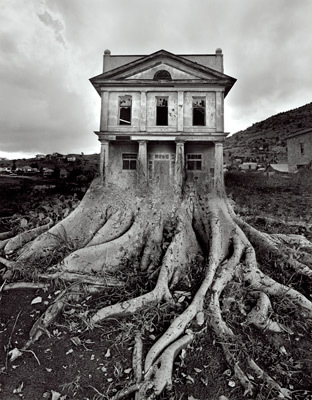 In our current times the word “original” has been claimed by many, but few, especially in the arts, have attained that title in the truest meaning of the word. 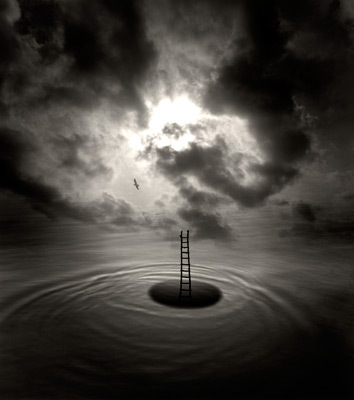 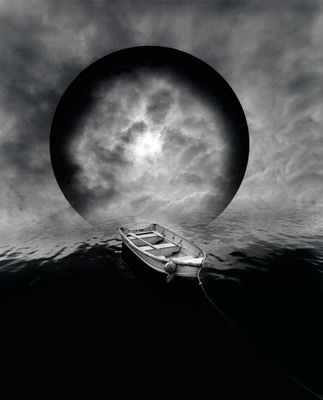 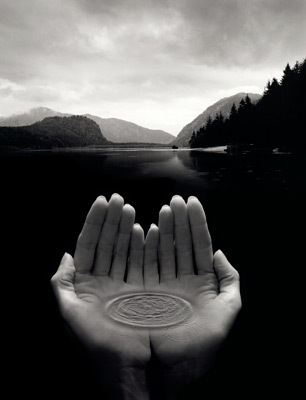 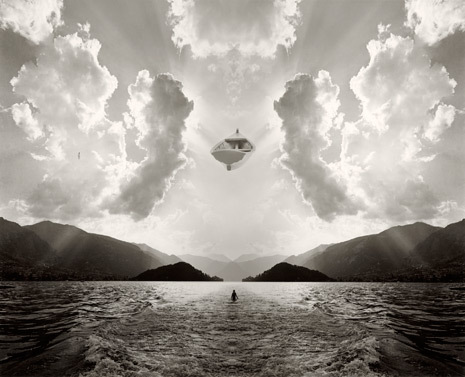 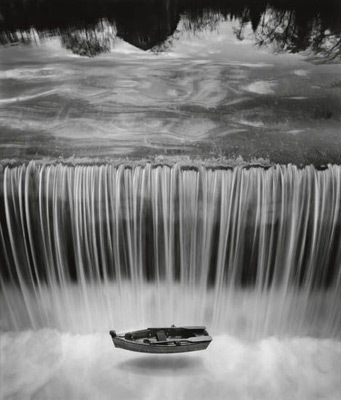 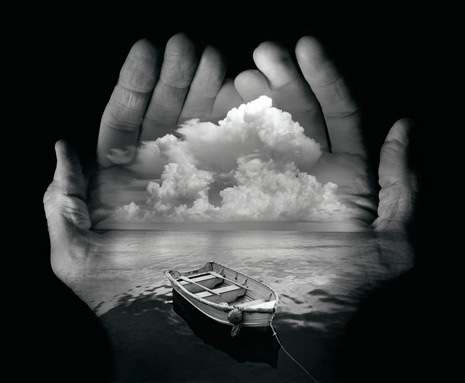 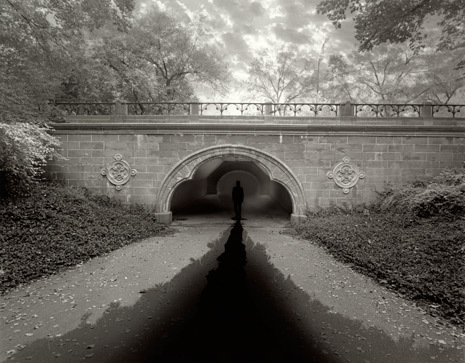 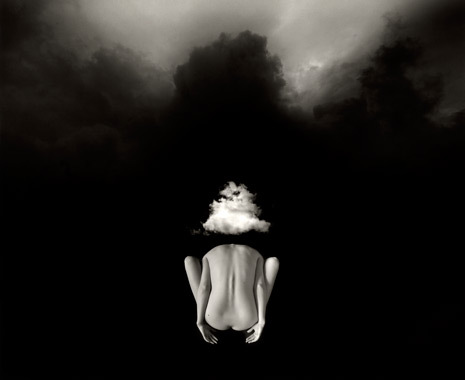 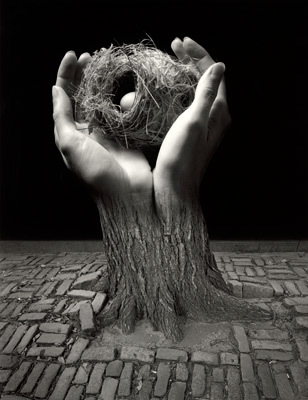 Jerry Uelsmann is such an artist. 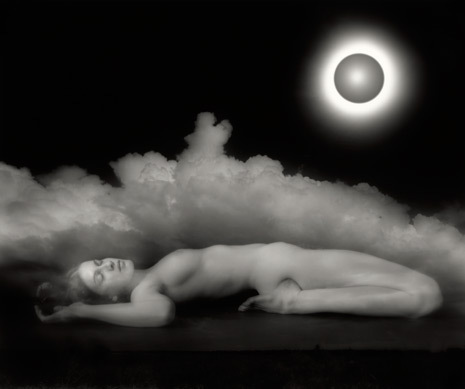 The 19th century photographers Henry Peach Robinson and Oscar Rejlander created photographs constructed of many negatives perfectly blended to craft visually stunning narratives that were viewed as a single “realistic” image. 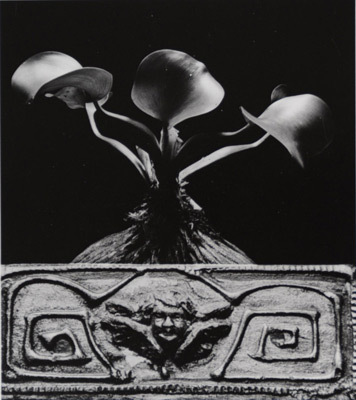 Jerry has continued and expanded on the work of Robinson and Rejlander. 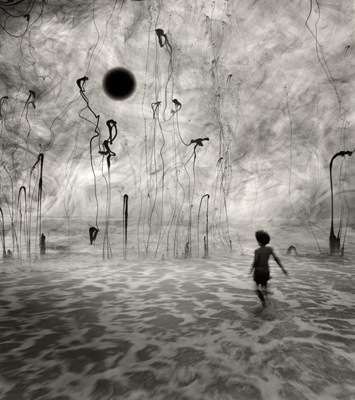 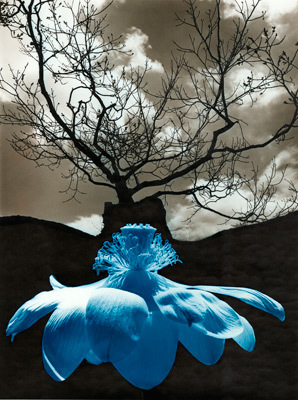 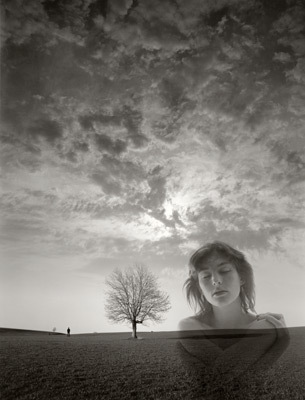 Uelsmann has absolute mastery of the photographic technique creating seamless tableaus with multiple negatives, sometimes using as many six enlargers, in his traditional “wet” darkroom. 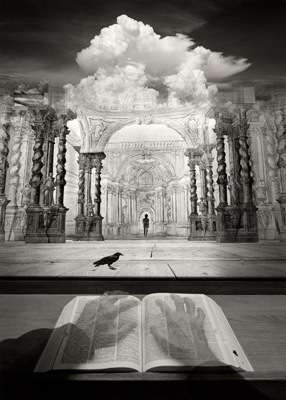 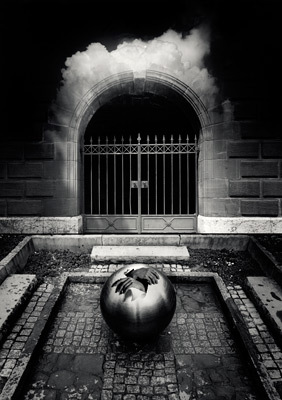 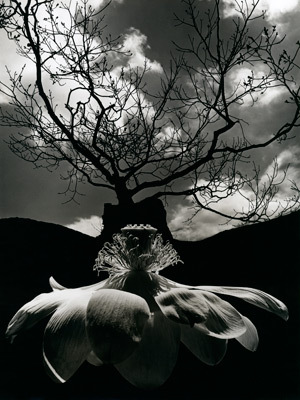 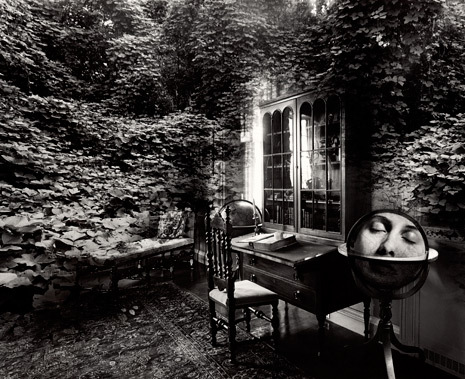 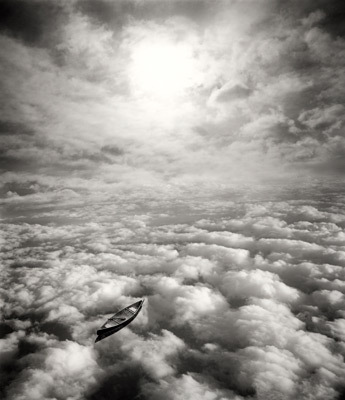 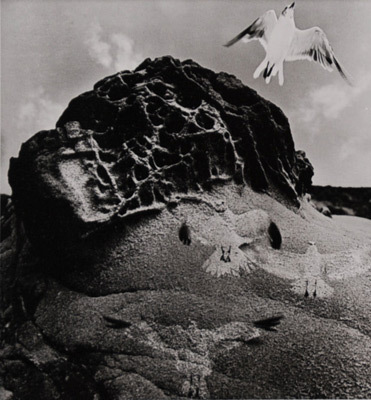 Jerry Uelsmann had his first solo museum exhibition at the Museum of Modern Art in New York City in 1967. 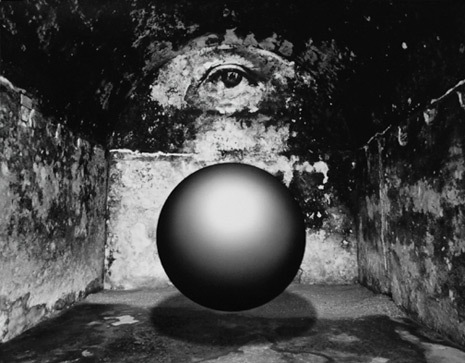 He has received a Guggenheim Fellowship and a National Endowment for the Arts Fellowship. 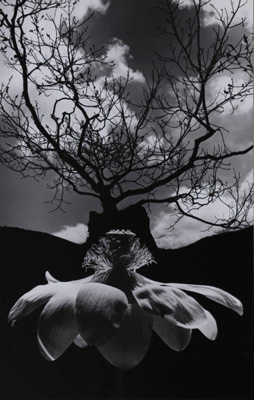 He is a Fellow of the Royal Photographic Society of Great Britain and one of the founding members of The Society of Photographic Education. 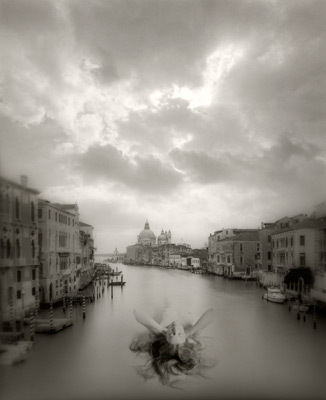 Most recently he has been awarded an honorary degree of Doctor of Fine Arts from the University of Florida in Gainesville.